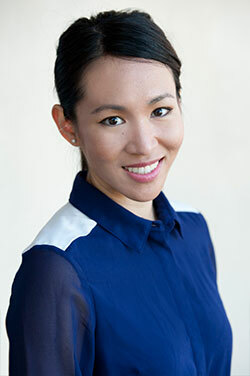 Dr Justina Teo graduated from the University of Western Australia with Honors and has been working in private practice ever since. She spent her early years working in a prosthodontic focused sub-specialty practice in Bunbury. It was there were she developed her interest in all aspects of cosmetic and restorative dentistry and simple orthodontics. Justina is an accredited Invisalign dentist and enjoys improving the smiles and lives of her patients through simple and minimal treatment. As a strong believer of prevention through education, she places strong emphasis on oral health instruction with all her patients. She has also completed the London’s Institute of Implantology course and the Lowenhaupt – Vital Orthodontics for General Dentists course, both in Sydney, to better her clinical skills over the years. Dr Teo is also currently a member of the Royal Australian College of Dental Surgeons. In 2015, she successfully completed her primary examinations in the Royal Australian College of Dental Surgeons. She received a commendation for her exceptionally good performance at the examinations, and has been invited back as an examination observer for the viva voce in 2016. This commendation attracts a formal college acknowledgement and honourarium. Outside of work, Justina is an active member of The St Thomas More Chapel community in Crawley which organizes social mission trips and scripture studies. She also does yoga on a regular to exercise her mind and body. Born in Singapore, her second language is Mandarin Chinese. She is happy to see patients who speak the same, creating a comfortable treatment environment. Enjoy a comfortable treatment environment!